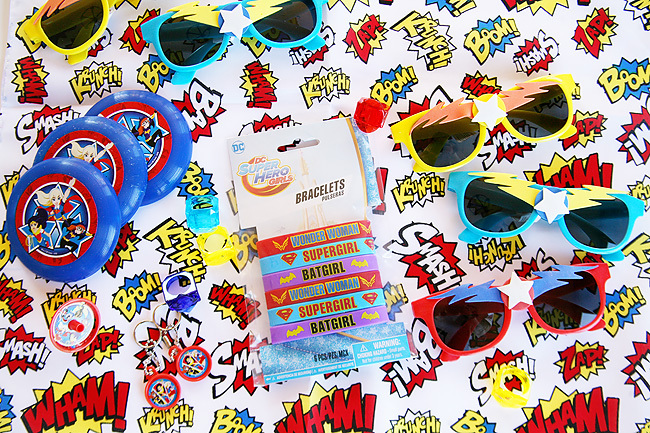 Super heroes are a great source of excitement for little ones. L.C. is no exception! She is obsessed with super heroes, particularly the DC Super Hero Girls. She can't get enough of them! She wears her Super Girl tee on repeat. She plays with the action figures daily. And any chance she can don one of her many super hero costumes, she does! I shared in October how she planned for she and B.C. 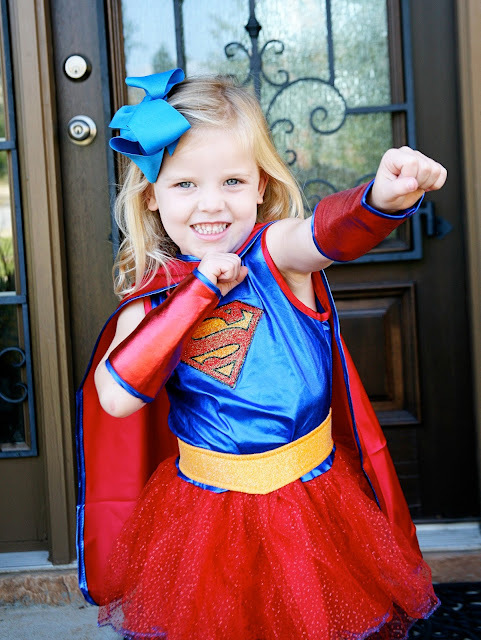 to be Super Hero Girls characters for Halloween. Well her birthday falls just before Halloween, and her party theme reflected her favorite crime fighting ladies. This is one of those posts that I kept meaning to share, but kept getting pushed back. 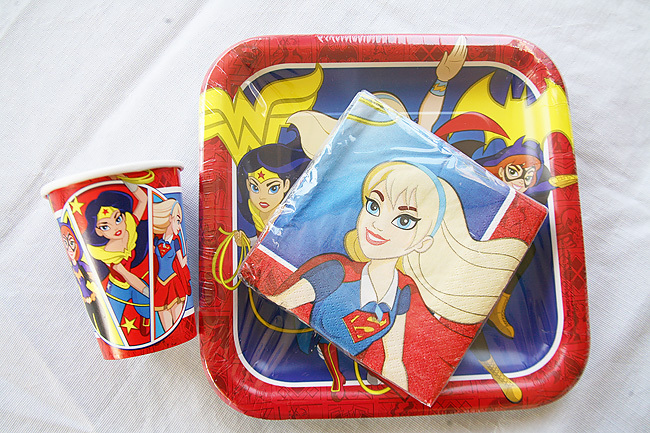 But the super details are too cute not so share - especially if you have a DC Super Hero loving little girl too! 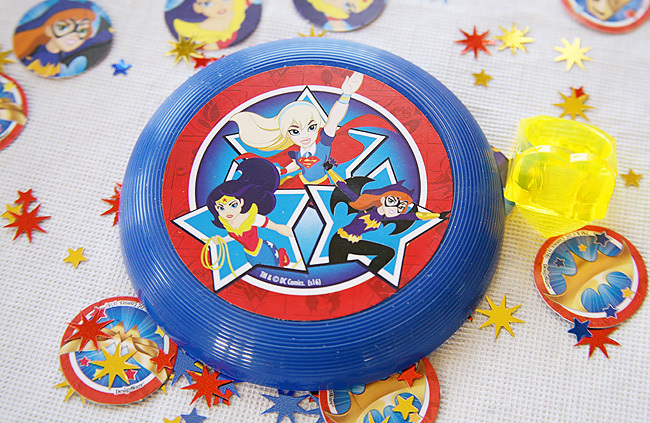 Oriental Trading has tons of fun Super Hero Girls items in their catalog. It made it so easy, and I had a hard time limiting myself on what to order. I had planned on doing a party in her classroom as well as a small one at home for her on the day of her birthday. We took her and her best friend to the aquarium as her celebration, but still wanted to have our home decorated to make her feel special on her actual birthday. There were tons of paper good options available, but I went with the napkins, plates, and cups that featured her favorite characters. 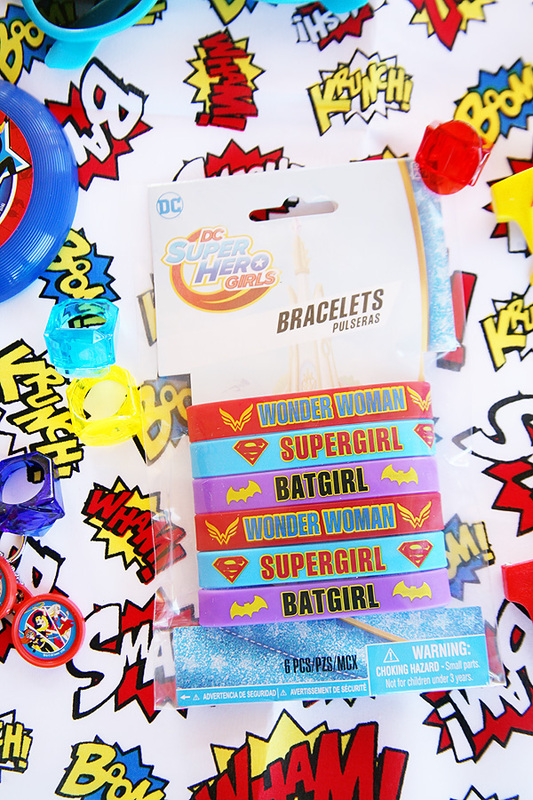 Super Girl for life, but Batgirl and Wonder Woman are a close second. Once paper goods were taken care of, I moved on to the fun stuff. The goodie bags! At first I wanted to do some cute candy favor for her classmates in these cute little Super Hero Girl themed pails. Then I spotted these backpacks, and thought that would be a little more fun for her friends (and something a little more useful). 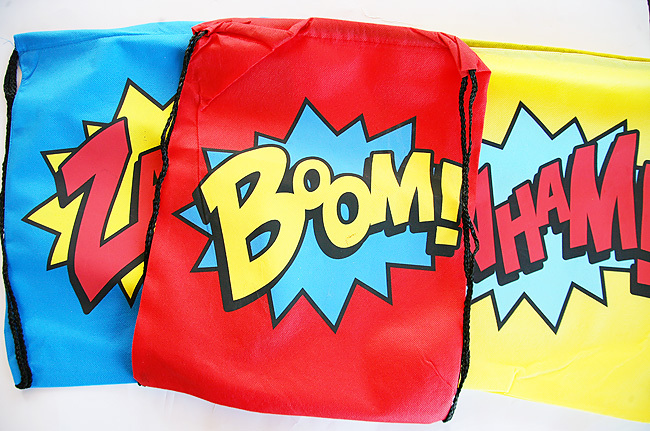 Then I ordered a bunch of fun super hero themed goodies to put inside. L.C. 's school is peanut free and several of her classmates have allergies. There were some super cute Pez dispensers and other fun food treats, but I decided to steer clear of those so that everyone would have the same thing. 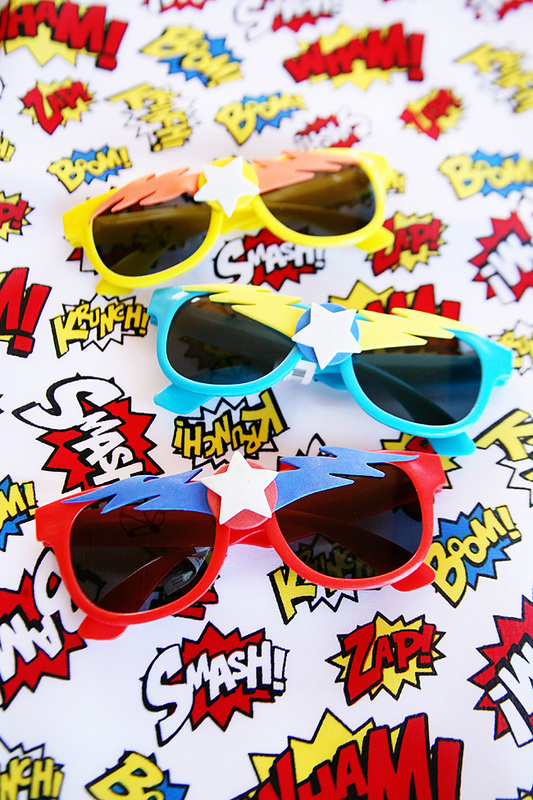 I purchased some fun super hero themed bandanas, sunglasses, bracelets, and other goodies to put inside. 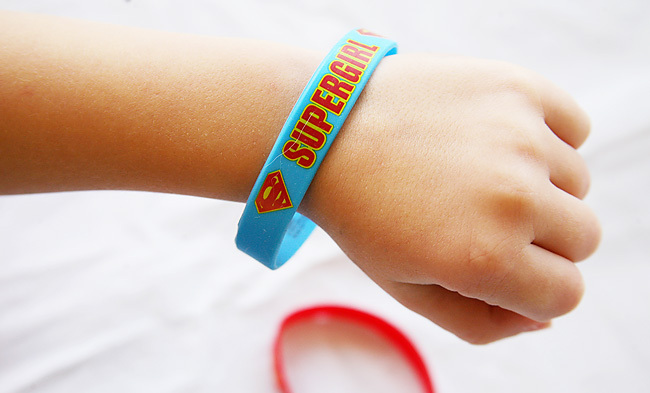 Looking back on it, among the boys and the girl, aside from the backpacks, the Super Hero Girl bracelets were the biggest hit. Everyone kept pretending it gave them super hero powers and were running around "shooting" from them. The day of the classroom party, L.C. was so excited. She woke right up and got dressed. 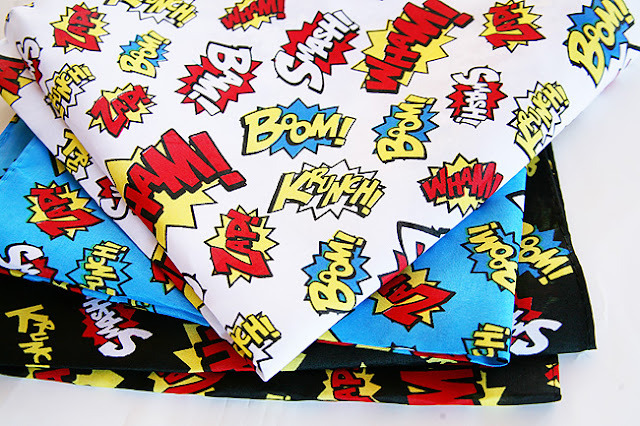 We have a ton of Super Hero Girl themed tees, but she skipped right over those for a head to toe Super Hero Girl outfit. My youngest sister made this and had given to her the day before when we celebrated at my parents house. She was so excited to wear it! We had a super hero themed luncheon, snack, and dessert planned. Then we let the kids run off their super hero sized sugar high on the playground. Each child loved their backpack filled with super hero stuff and most wore them the rest of the school day. On their tiny little bodies they almost looked like capes, which was all sorts of perfect. The next day was L.C. 's actual birthday. 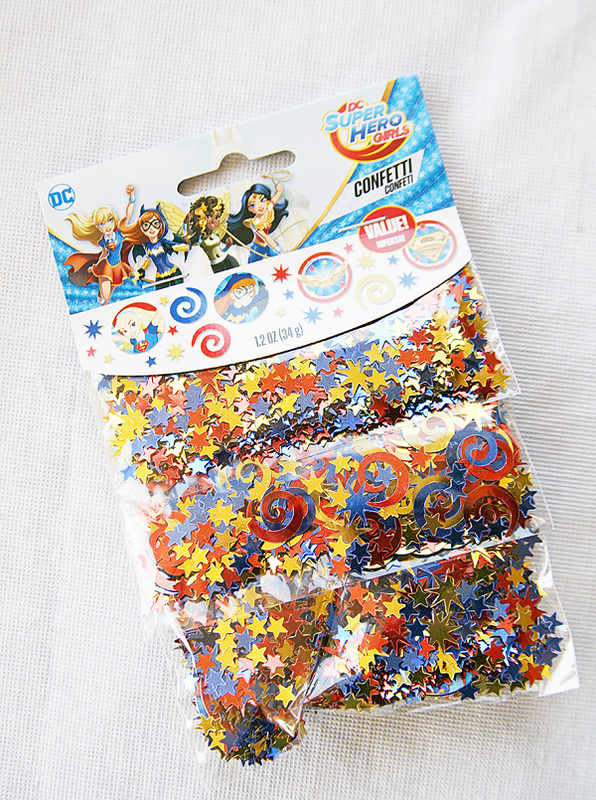 I had ordered a birthday banner and some fun Super Hero Girl streamers to decorate the house with for when she woke up. L.C. loved waking up to see the whole house decorated. Anywhere I could hang a streamer, I did. I love when a decoration is so easy! 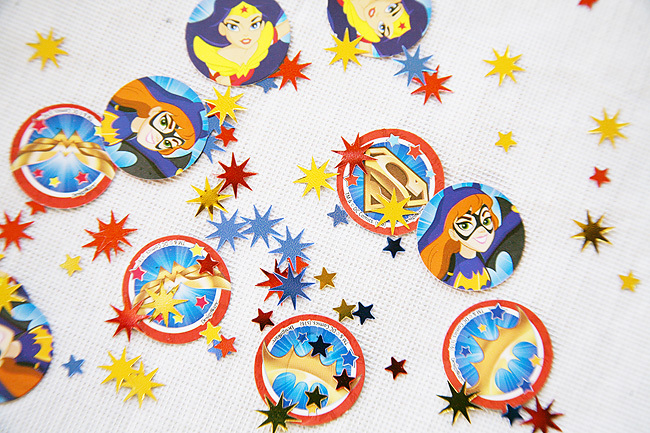 Before we had cake with her friend I set out my favorite toddler friendly white table cloth, and sprinkled it with this fun Super Hero Girl confetti and some fun little themed goodies for she and her siblings and her friend. Each and every little detail made L.C. so happy. I was thrilled to see that we were easily able to feed into her Super Hero Girl obsession. Even more so that really the only effort it took was by making a few clicks of a button and grabbing the box off my doorstep. This age is so much fun, and I learned long ago soak in every moment of these cute little obsessions and things they love because before you know it, it's gone. 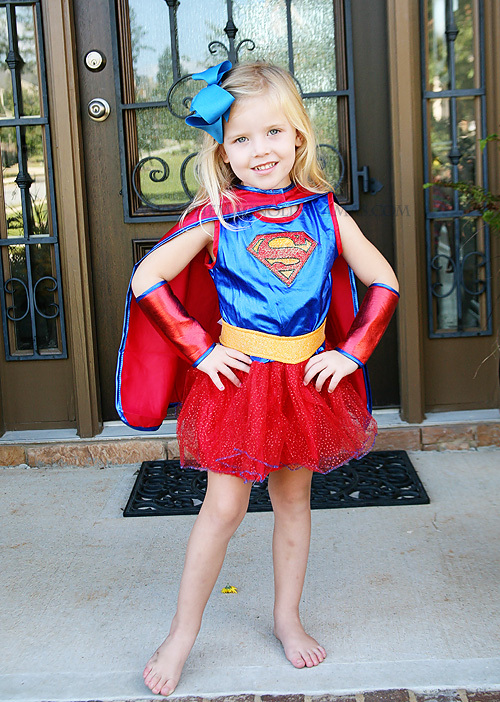 Here's hoping she always stays my little super girl.